As a Psychologist, Counsellor and Coach, John specialises in what is termed ‘Mindfulness and Wisdom based Cognitive Behavioural Therapy’ (MWB-CBT) for a variety of issues and illnesses, especially working through the experience of cancer. 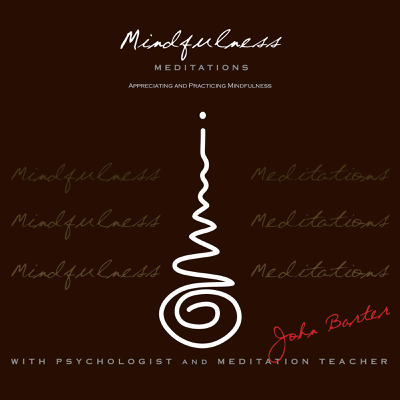 John teaches Mindfulness and Wisdom based Meditation courses, classes, workshops and retreats as well as providing clinical Supervision for Psychologists, Intern Psychologists, Counsellors, and other health Care Professionals. John is a Nationally registered Psychologist, Mindfulness Meditation Teacher, and the Director of WELL-AWARE-NESS Psychology. 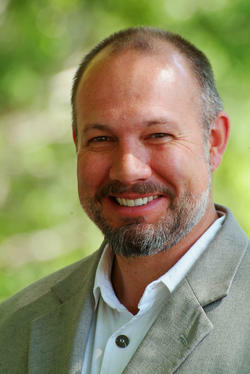 To his work John brings over 30 years of continuous personal practice in Mindfulness and Mindfulness based Meditations. For over 10 years John was a Buddhist monk (named ‘Javano’) of the Theravada Tradition, living and practising in Forest Monasteries in Australia; in North East Thailand as a student of the well known Meditation Master Ajahn Chah; and in England and Europe with the senior Western disciples of Ajahn Chah. John remains one of the youngest Australians and ‘Westerners ever to take ordination into Buddhist monastic life. John reports experiencing a deep yearning for Truth and Freedom that became a profound calling to a life of mindfulness, wisdom and peace. In taking monastic ordination in Sydney at the age of 17, John experienced a ‘coming home’ to fulfill a journey that he felt he had started at another time and in another place! John spent a year and a half at a Forest Monastery north of Sydney, Wat Buddha Dhamma, training under the senior Western monastic Ajahn (Phra) Khantipalo. Following this, after travelling to the north-east of Thailand, John took his ‘higher ordination’ into monastic life as a ‘Bhikkhu’ at the Forest Monastery of Ajahn Chah, living between Ajahn Chah’s monastery ‘Wat Pah Pong’ and the various branch monasteries, including The International Forest Monastery, Wat Pah Nanachat, that Ajahn Chah had established for ‘Western’ monastics, under the abbotship of Ajahn Passano. After 6 years living and training in Thailand, John was invited to England, to Amaravati Buddhist Monastery, to help with branch monasteries that had been established there under the abbotship of Ajahn Sumedho, Ajahn Chah’s most senior western disciple. John spent two years in England before being invited to help in the development of a new branch monastery in the mountains of Switzerland, Dhammapala Monastery. After nearly two years in Switzerland as the vice abbot under the guidance of the abbot Ajahn Tiradhammo, John felt a deep clarity and fulfillment that allowed him to consider living a life beyond monastic conventions. After 11 years of continuous commitment, John took leave of monastic life to continue the journey and practice of Truth and Freedom within the broader arena of lay life, with the possibility of continuing to be of service to others through teaching, guidance and counsel. To this end John became a Psychologist, and one of the first to refer to himself as a ‘Buddhist Psychologist’. As a Nationally Registered Psychologist and Full Member of The Australian Psychological Society (APS), John graduated with both undergraduate and post graduate studies in Psychology from the University of Sydney. Further to this John studied Counselling, graduating with a Masters in Counselling from the University of Western Sydney. John has worked in Pain Management, consulting to the Pain Management Centre of the Royal Prince Alfred Hospital in Sydney. He has been a guest speaker and presenter at a number of cancer support groups, and for three years was an Associate Lecturer- Faculty of Medicine – at the University of New South Wales. John has been Full Member and Teacher of the Australian Association of Buddhist Counsellors and Psychotherapists (AABCAP) two year training course in ‘Buddhism and Psychotherapy’. John is a Supervisor for health professionals, including Psychologist Interns through the Australian College of Applied Psychology (ACAP). John has featured in the media on ABC Television on the ‘Compass’ program, ABC Radio on ‘Night Live’, has been a regular guest speaker on Byron Bay radio ‘Bay FM’, has been written about in the Sydney Morning Herald newspaper ‘Domain’ section, the ‘Byron Shire – Echo’ newspaper and in such magazines as ‘Wellbeing’, ‘Women’s Health’ and ‘This Month – on the Gold Coast’. Over the past 15 years John has given presentation, workshops and run courses on ‘Mindfulness and Buddhist based Meditation’ in most of the hospitals in Sydney for both staff and patients, including a recent program he ran at St. Vincent’s Hospital through the ‘Arrow Foundation’ for people experiencing leukemia. He has also given similar presentations, workshops, and run courses for the leading Universities in Sydney, including The University of Sydney, The University of New South Wales and Macquarie University. Over the past 15 years John has also given Mindfulness based Meditation workshops and courses in the corporate sector for leading Banks and Law firms. Through his Psychology and Meditation centre, ‘WELL-AWARE-NESS Psychology’ situated in the Eastern and Northern suburbs of Sydney, together with his practice on the Far North Coast of NSW, John practices what he has termed ‘Mindfulness and Wisdom based Cognitive Behavioural Therapy’ (MWB-CBT), a combination of traditional Western Cognitive based Psychology and Counselling together with the wisdom insights of traditional Buddhism and Mindfulness practices. ‘Mindfulness and Wisdom based Cognitive Behavioural Therapy’ (MWB-CBT) provides both practices and perspectives for working with, and working through a wide variety of psycho-emotional issues, physiological illnesses, relationship challenges, as well as strategic personal / professional life enhancement and management. Through WELL-AWARE-NESS, John has run Mindfulness and Buddhist wisdom based Meditation classes on a weekly basis (Thursday Evening, Monday Morning) for over 15 years, together with regular Meditation Courses, Workshops and Retreats. 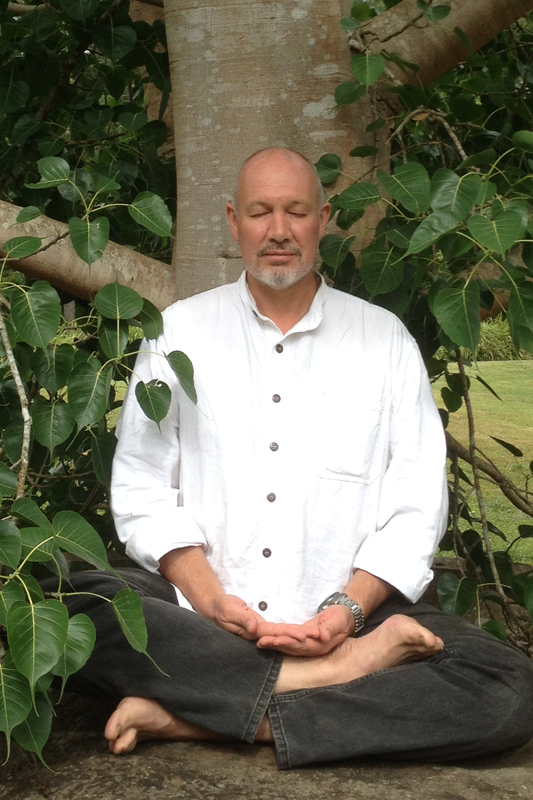 Beyond his work based in Sydney John extends his care to northern NSW where he sees clients for Counselling and Meditation training, offers Psychological Supervision, gives presentations, workshops and retreats, in the Byron Bay, Tweed Coast and Gold Coast QLD, areas. John’s approach very much exemplifies this embracing and bridging of the ‘two worlds’ of East and West, producing and providing what clients have described as a ‘practical wisdom’ for living with the choices and challenges of our contemporary life. John’s work is very much his life; this fact is very evident through his dedication to health, healing and wellness, which is appreciated by the many hundreds of people who attend his courses, classes, counseling, and supervision sessions each year.